Artech Realtors, the leading real-estate builder in Trivandrum presents Artech Life Spaces – a luxurious apartment project near Infosys campus, Trivandrum. This is Artech Realtor’s 65th project and it is all set to redefine luxury as you know it. Life Spaces is envisioned as one of ‘Kerala’s ultimate leisure lifestyle’ destination and will offer 2, 2+ Study, 3 and 4 BKH apartments just 5 minutes away from Technopark. In addition to the well-appointed apartments, Artech Life Spaces will have a game room equipped with the latest gadgets to take the excitement to a new level. 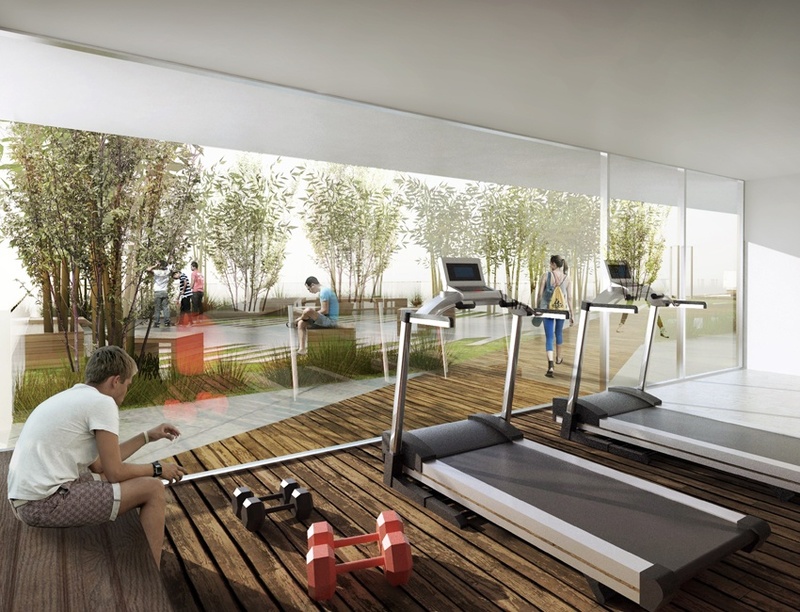 There will be an indoor badminton court and a virtual golf course to ensure that you stay healthy and fit. An exclusive beauty salon and a jacuzzi will help you relax or go in for a total makeover when you are stressed out. Situated on the bypass, just 5 minutes away from Technopark, Artech Life Spaces is just a 15-minute drive from the Trivandrum International Airport. Artech Life Spaces will bring you a new dimension of leisure living. RCC frame structure with brickwork and or concrete block partitions. Concrete grade and Steel grade as per structural consultant’s advice. Foyer / Living / Dining using 80cm X 80cm Premium Double charged vitrified tiles (Kajaria / Asian). All Bedrooms : 60cm X 60cm Premium Double Charged Vitrified tiles (Kajaria / Asian / Somany). All Bed room Toilets : Designer ceramic tile concepts 30cm X 30cm for floor and 60cm X 30cm for walls up to ceiling height of 8’ 0. Utility Room : 30cm X 30cm for floor and 30cm X 45cm for (kitchen wall) walls at a height of 2’ above the counter if any (using any premium Indian brands). Balconies / Open Terraces / Decks : Rustic / Antiskid / ceramic tiles 30cm X 30cm or (wood finished vitrified tiles) with SS / MS / GI with or without toughened glass as per architect’s design upto 1.2m heights (using any premium Indian brands). Concealed cisterns (concealed flushing system) will be of GEBERIT from Switzerland or GROHE from Germany. Actuator plates shall be in CP Finish dual flushing system. Stainless Steel Sink multi bowl with drain board of make NIRALI / FRANKE shall be provided for the kitchen and stainless steel sink without drain board shall be provided for the utility areas. Door Shutters: All internal door frames shall be of seasoned hard wood with flush door shutters. All internal and external faces shall be melamine finish or Paint finish as per the Architects design. Hardware: All hardware shall be in C.P Brass, tower bolts, doorstoppers, ball bearing hinges. Locks shall be mortise of DORSET / YALE make from USA or equivalent. Entrance door shall have hardware such as, Magic Eye, Safety Chain, Door Stopper and a BIO Metric lock from HAFELE or YALE. Concealed copper wiring using FINOLEX / V-GUARD / HAVELLS make cables with modular plate switches, centralized cabling system for all electrical and communication requirements. Wiring shall be done for lighting, 6 Amps, 16 Amps and AC points in the Apartment. Generator: Power backup will be provided for all common services and selected light and fan point in each living, bedrooms inside apartment and a refrigerator point, plus additional one 6 Amp plug point in the Kitchen, one light point in all the toilets, one 6 Amp plug point at Living for emergency charging of devices shall be provided (Air-conditioning and Geyser points and other 16 Amp points will not be considered for the power back up). Adequate ELCB and MCB shall be provided in each apartments SIEMENS / HAVELLS. Elevators: High Speed lift shall be provided as per the Govt. norms in each core with automatic doors & SS brush finish of KONE / SCHINDLER or MITSUBISHI. Multi level security systems for common areas and lobbies, Access control entry to the common entrance / foyers and gymnasium. Provision for sprinklers and a drip system shall be provided for necessary common area landscaping. Ceiling plastering work – 1,2,3,4- 100% completed (A,B,G, H flats),1,2(C,D,E,F)completed. Block work – 1st level (A,G,H)Completed. Block work – 1st level (A,B )Completed. Work status as on 16-11-2018, we have completed. Work Schedule for the Month of July 2018 . As per the current work status from our site we are targeted to complete the following works by end of May 2018. Work status as on 1 9 -0 4-2018, we have completed. The scenic capital of Kerala, Trivandrum is home to a rapidly expanding IT sector and is soon touted to become the country’s largest IT hub. This has also resulted in more and more people migrating into the city, with their housing needs going up. As majority of these IT companies are located off the city’s bypass-road, the population of apartments in Technopark/Infosys area is going up too, providing easily accessible homes for these people. The good thing about living off the bypass-road is that you get access to lots of open spaces and areas that are free of pollution. And to top it all, those living in apartments in the Technopark/Infosys area can also enjoy amazing vistas of the sea from their homes! Living off the highway in no way hampers its inhabitants from accessing the central city areas as there are numerous roads entering into the city from this area. 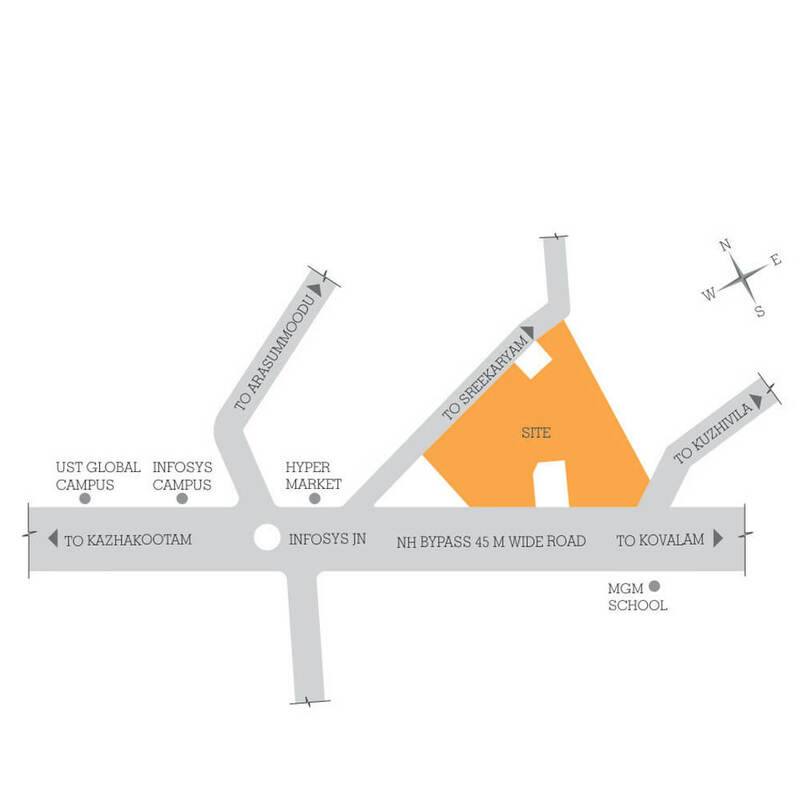 A number of good schools and multi-specialty hospitals are located within a few minutes driving distance from this location too. What’s more, you can get to the Trivandrum International Airport within 15 minutes too. As most of the flats in Technopark/Infosys area cater to the savvy techies, premium home builders like Artech Realtors are crafting flats that come with a plethora of exclusive amenities, home automation as well as modern designs. If you are looking for homes that redefine luxury and offer a new dimension of leisure living, head towards Artech flats in Technopark/Infosys area.